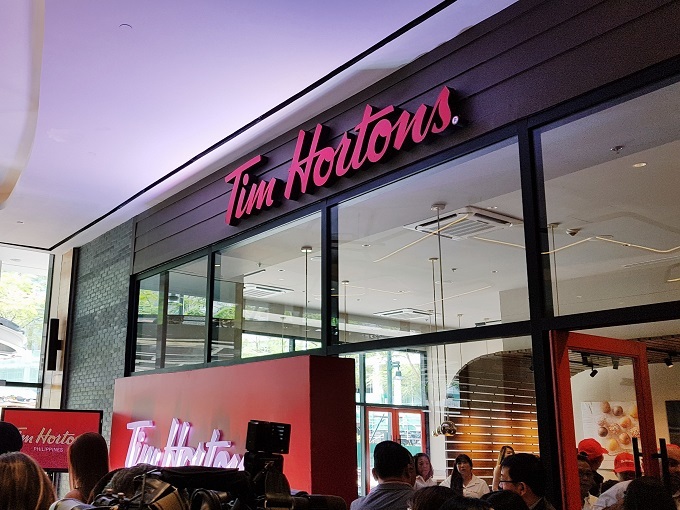 Canada’s favorite coffee house, Tim Hortons, is finally opening on February 28, Tuesday, at the Uptown Place Mall in Bonifacio Global City, Taguig. 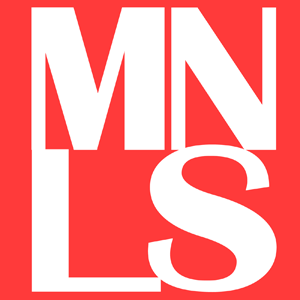 Last Friday, Manillenials had the chance to cover the media launch of the world-renowned café and bakeshop. Hosted by Ms. Janeena Chan, the ribbon cutting ceremony was spearheaded by Tim Hortons’ big bosses, including Mr. Elias Diaz Sese (President of Tim Hortons), Mr. Enrique Yap (President and CEO of TH Coffee Services Philippines Corporation), Mr. William Tieng (Chairman of TH Coffee Services Philippines Corporation), Mrs. Wanda Teo (Department of Tourism Secretary), and the whole TH Coffee Services Philippines Corporation team together with the stunningly beautiful Miss Universe Canada 2016, Siera Bearchell, as the guest of honor of the said event. 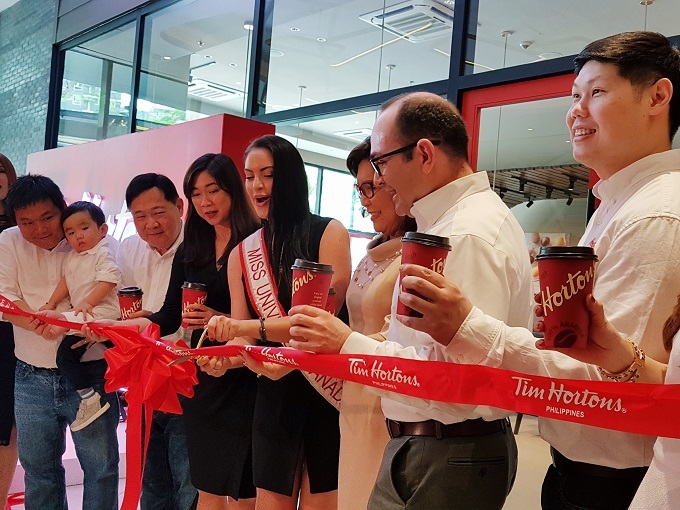 Tim Hortons BGC branch is first in the Philippines as well as in Southeast Asia. 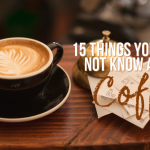 It is Canada’s most popular coffee chain, which was first established in 1964. 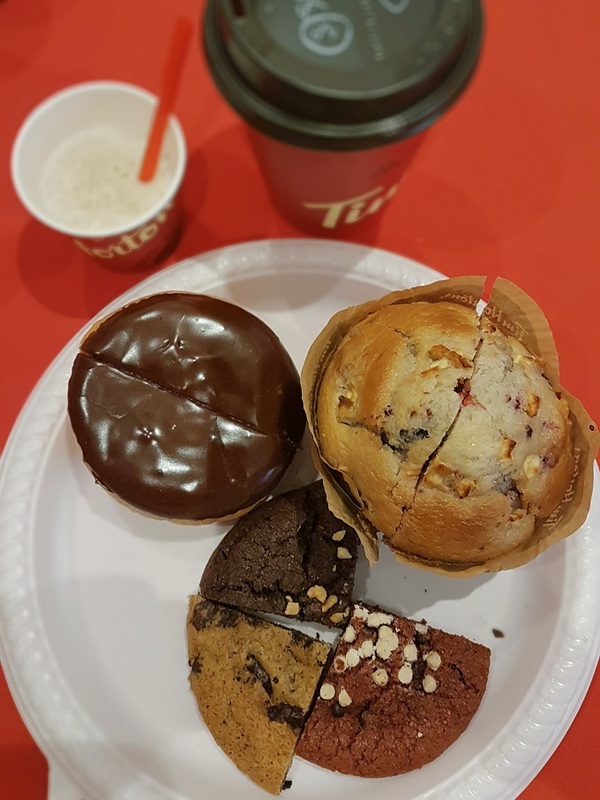 Serving a various roster of coffee selections, smoothies, doughnuts, muffins, cookies, and sandwiches, Tim Hortons is absolutely a must-visit café in the metro. 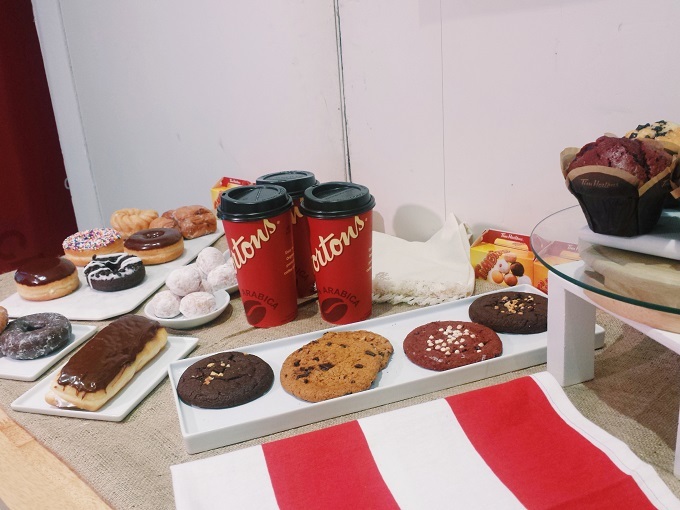 Manillenials’ representatives also had the opportunity to taste some of Tim Hortons’ mouth-watering goodies. 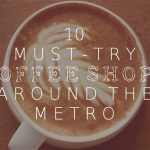 The famous Double Double coffee, Iced Capp, Boston cream, four-cheese Italiano bagel, and Timbits are a must-try. 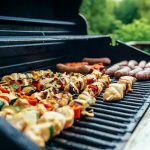 There are a lot of exciting treats to look forward to in their local menu. Definitely, your visit to Tim’s is worth your time and money. 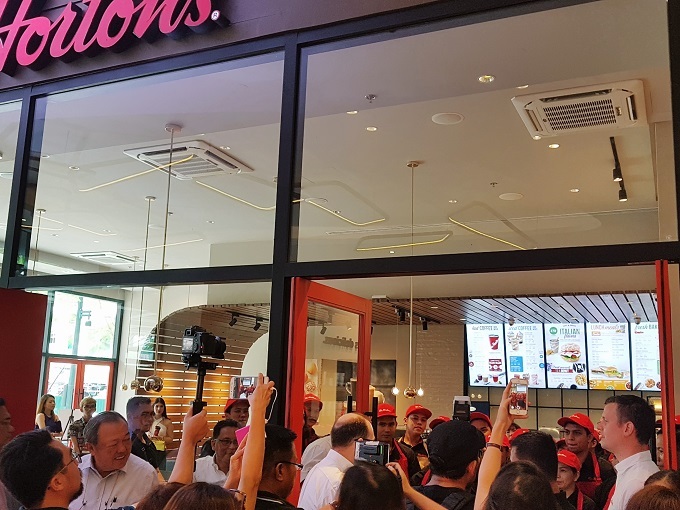 After 53 long years, Tim Hortons has finally come in the Philippines. 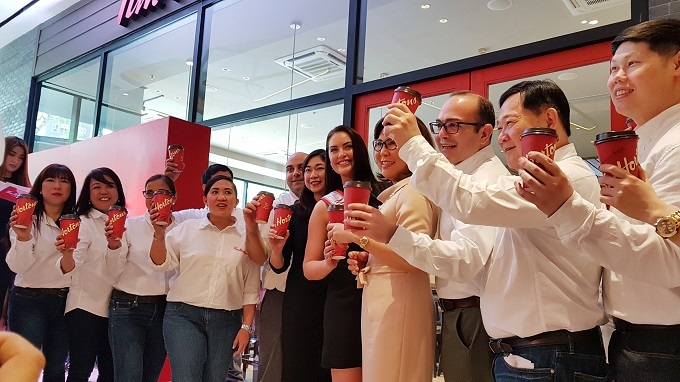 According to Ms. Romina Nanagas, one of the organizers from Campaigns and Grey PR, Tim Hortons caters to the millennials, especially those who want to taste something good and new. 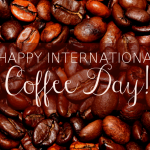 All coffee lovers out there will surely be delighted about the delectable offerings of Tim Hortons. 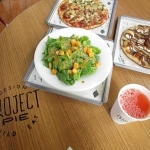 As a reward to its visitors, the first-ever customer who will line up at their store at 4:00 PM on February 28 will receive a free one-year supply of one doughnut and coffee. Yes, you have read it right, so save the date, come early at the store, and be that one lucky customer! 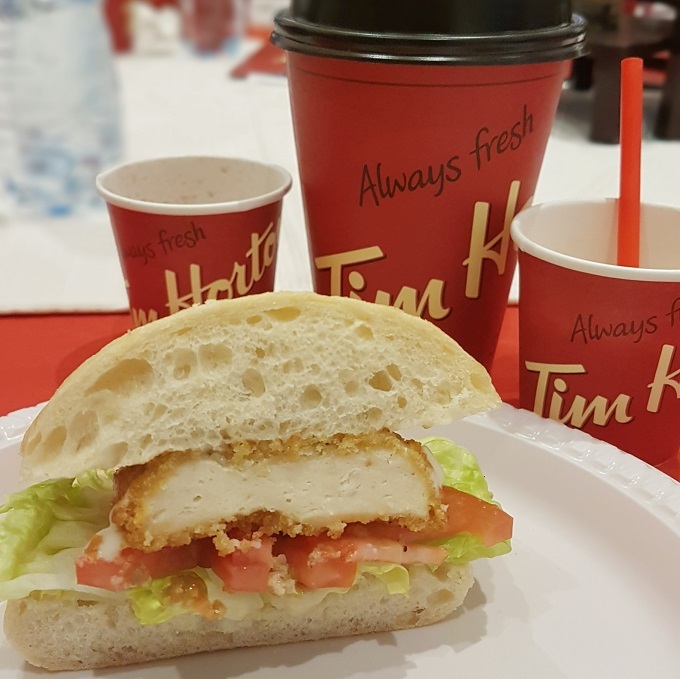 Head to Uptown Place Mall on Tuesday afternoon and indulge yourself in great-tasting coffee and appetizing food from the first Tim Hortons store in the country.